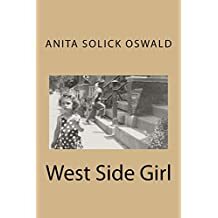 West Side Girl chronicles the colorful and oftentimes unpredictably eccentric characters and adventures of Chicago’s West Side in the 1950’s and 60’s. These visceral and nostalgic essays transport you into the world of a ragtag brigade of migrant and immigrant children finding themselves in a rapidly changing community. The daughter of a fireman and frustrated-writer turned-housewife, Anita Oswald portrays life from her family’s third-story apartment and Bohemian Madison Street restaurant with a fresh perspective. These stories of equality and nascent social justice are equal parts outrageous, insightful, funny, and touching. All royalties from book sales will go to Off the StreetClub, a Chicago nonprofit that supports at-risk youth. Anita Solick Oswald is a Chicago native. Her essays have appeared in The Write Place at the Write Time, the Faircloth Literary Review, The Fat City Review, and Avalon Literary Review. She is a member of the Chicago Writers’ Association and the Association of Writers and Writing Programs. She is also a founding member of the Boulder Writing Studio, and works with the Dairy Center for the Arts in Boulder, Colorado. She lives in Niwot, Colorado with her husband and two cats. Visit the author's website for more information. This collection is based on your personal experiences growing up in Chicago. What made these stories feel important for you to tell? 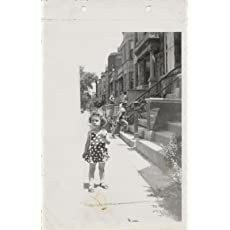 For years I have been telling my stories about growing up in a great time of freedom for children in a neighborhood that was culturally diverse. It seems especially relevant now to tell those stories of social change and the benefits of cultural diversity. I remember telling some of these stories to my daughters as they were growing up, so putting them together in this collection has also been a way to connect with my family in meaningful ways, and share that with others. How do you navigate the sometimes-blurry lines between truth and storytelling? What kind of research do you do? For me, this is not an issue. I check sources if individuals are still alive or, in some cases, I do not use last names or have altered the names. I’ve researched family records, photos, newspaper articles, school records, and memorabilia, have contacted alumni groups and former residents of my old neighborhood and verified my recollections with relatives, friends, and former teachers. I never stop researching. What does donating your royalties mean to you? For many reasons, West Garfield Park was a neighborhood in decline when I was a child. Through organizations, like Off the Street Club, and the dedication and generosity of staff and donors, we never knew we were slum kids. This club has meant so much to so many and was an integral part of my golden childhood. I hope to share that wonderful gift with other children. In July, when every day seemed like the last day of Pompeii, a free cone sounded like a great idea. But as we turned the corner our maniacally eager expressions vanished. The line to get free soft serve cones stretched all the way around the corner on Madison Street right up to the front door of Solick’s restaurant. It looked like every kid in the neighborhood had heard about the freebies. I wanted to throw in the towel and go to Columbus Park swimming pool. I didn’t like vanilla cones anyway. I wanted a chocolate dip cone. If we hurried, I argued, we’d still make the last batch of 500 kids before they closed the pool for cleaning. But the rest of the gang maintained that free ice cream was worth the delay. I really didn’t want to go to the pool alone so I reluctantly agreed to hang out and wait my turn in the heat and humidity of Chicago in July. As we walked past the takeout joint to claim our places in line, I had time to size up the place. I had to agree with my mother. Hot Diggity Dog didn’t look too hot. I admired their entrepreneurship, though. The staff was sweating and working as fast as they could, taking orders and dishing out soft serve to overheated customers. Their aprons were stained and the trash cans were overflowing. It was a pyroclastic event. Money and sawdust covered the linoleum. The owners had developed their own creative security system. They figured it would be harder to ripoff the dive if thieves had to pick up the cash and they instructed the customers to throw their money on the floor. Sweaty dogs spun on the greasy roller rotisserie – no sneeze guard in sight. Mom was probably right about the hygiene. I saw people walking past us with cones and Chicago dogs and remembered my mother’s cautionary tales about dirty kitchens and diseases you’d get if you weren’t careful. The pungent smell of the dogs and the raw onions and the bleach smell from the laundromat next door made me gag. I thought about all the nasty pig body parts that were supposed to be in hot dogs. Maybe those hot peppers really were cockroaches – were they wiggling? I needed a Coke.